When talking about sustainable transport policies, the intention often is to change the rules of the game. While objectives may be noble, cities must recognise the likely scale of opposition to reforms. Reform processes require periods of detailed consultation and negotiation to steer reforms towards intended outcomes. 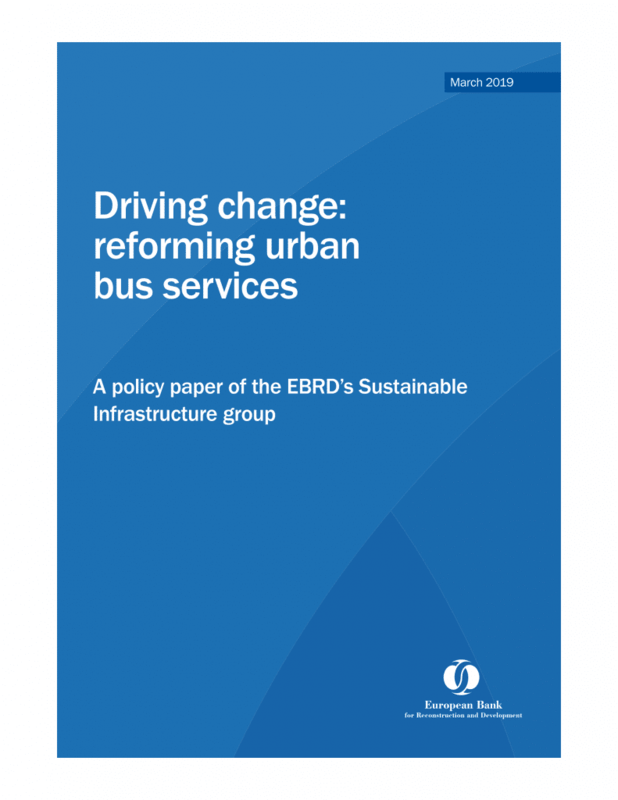 This paper focuses particularly on the “how” to improve services by laying out the rationale and steps for cities to achieve bus sector reforms. This includes case studies, examples and illustrations. This paper is for city authorities who seek to transform bus services in response to user expectations and environmental challenges. It builds on experience from cities in emerging markets as well as proceedings and follow-up activities of a seminar held last summer by the European Bank for Reconstruction and Development (EBRD) on the very same topic. Contact us to change transport!